The anti-Semitism problem is not limited to a few individuals. in the Labour Party. Fourth in a series on different aspects of anti-Semitism in the party as an indication of what is rampant in Social Democratic parties. For previous articles in the series, click here. The numerous anti-Semitic and anti-Israeli slurs by elected representatives of the British Labour party have forced prominent Jews to take a public stand against this hate mongering. Usually Jewish community leaders have preferred to deal with problematic societal issues through direct contacts with politicians, using the 'old boy networks' so prevalent in British tradition. Since there was no Holocaust in the UK, no huge historical “break” occurred there severing Jews from the rest of the populace as in Europe, and networks have remained intact. 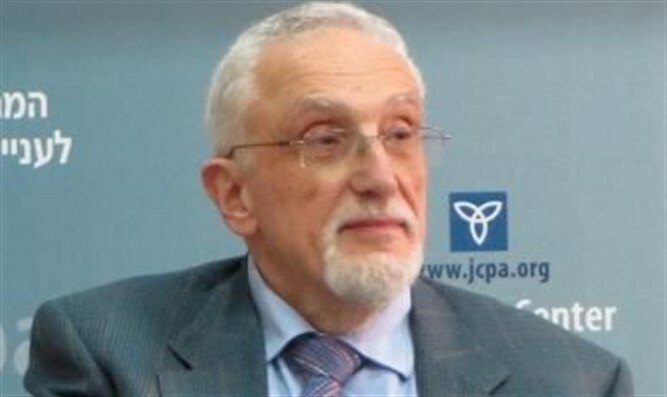 By contrast, some continental Jewish leaders have learned that whether they like it or not, there are often issues concerning Jews which have to be fought in the public domain. Many British Jews have reacted to the sometimes extreme anti-Semitic slurs. Reactions have taken three main forms: changed voting patterns, verbal comments and withheld donations. A Jewish Chronicle poll found that if a general election were to be held now, only 8.5% of Jews would vote for Labour, as against almost 82% for the Conservative Party. Furthermore 38.5 per cent of Jews give Labour the worst possible mark – 5 out of 5 – for anti-Semitism among party members and elected representatives. In 2015, this “Father of the House,” i.e the Parliament’s oldest MP, accused Israel of fabricating the stabbing attacks by terrorists, and added that the Conservative Party has been influenced by “Jewish money." Later she said that “I think it would be absolutely perverse if people like me and my Jewish parliamentary colleagues – [MPs] Louise Ellman, Ivan Lewis, Ruth Smeeth – if we left the Labour party, and it was not the anti-Semites who left the Labour party.” The huge number of hate mails received, which must have included mails sent by Labour supporters, indicate that the anti-Semitism problem is not limited to a few individuals as whitewashers of anti-Semitism in the party like to claim. Lewis, an MP and former Labour minister, met with Corbyn in May this year and asked that he should demonstrate “total opposition to the views and violence of organizations such as Hamas and Hezbollah.” Lewis also said that two Labour councilors in his constituency of Greater Manchester had lost their seats in recent local elections because Jewish constituents no longer supported them in protest against Ken Livingstone’s remarks about Hitler being a Zionist. After meeting Corbyn, he said “I made it clear that while the vast majority of Labour members are not anti-Semitic, there is a serious problem among a minority which has to be tackled decisively.” Before Corbyn’s election, Lewis had already said that he expresses support and fails to condemn those who have engaged in anti-Semitic rhetoric. The Jewish community donated significant funds to Labour in the 2015 general election. Michael Foster, a Labour candidate and donor to the party wrote that almost one third of the 9.7 million pounds Labour had received from private donors before the 2015 elections came from Jews. He added that this was despite recoiling from Labour’s parliamentary vote to recognize Palestine. Foster also wrote that so far, no major Jewish donor has given money to the Central Labour Party this year. When one analyzes the Jewish reactions above, one notices that not one of them draws attention to the important role of Muslims in the hate mongering. An interesting side effect of the Labour Party scandal is that anti-Semitism outside the Labour Party is now garnering also more public interest. The Daily Mail published an article about a Jew who had been forced to leave the place where he had lived for 20 years due to harassment. From the article’s text it could be seen that those who harassed him were Muslims. Due to the ongoing new revelations about anti-Semitism in the Labour party, the Jewish community will have to continue to react. In addition, the whitewashing of Jeremy Corbyn’s attitude toward anti-Semitism in the party will continue to fuel the reactions. Many British Jews prefer to ignore the anti-Semitism problem in the United Kingdom. It goes far beyond the Labour Party. However, the issue will remain in the limelight as further cases both in the Labour Party and elsewhere come to light.